Το πολυαναμενόμενο Assetto Corsa Competizione είναι έτοιμο για εκκίνηση. Όπως ανακοίνωσε η δημιουργός Kunos Simulazioni, το Assetto Corsa Competizione βγαίνει 12 Σεπτεμβρίου στο Steam ως early access (κανονική κυκλοφορία αρχές 2019). Ως γνωστόν, το Assetto Corsa Competizione είναι διάδοχος του Assetto Corsa, με έμφαση στα αγωνιστικά αυτοκίνητα. Το παιχνίδι διαθέτει την επίσημη άδεια του πρωταθλήματος Blancpain GT και υπόσχεται υπερρεαλιστικά γραφικά και καιρικά φαινόμενα με χρήση της Unreal Engine 4. Δείτε επίσημα χαρακτηριστικά και νέο trailer και πείτε μας αν σας ενδιαφέρει! 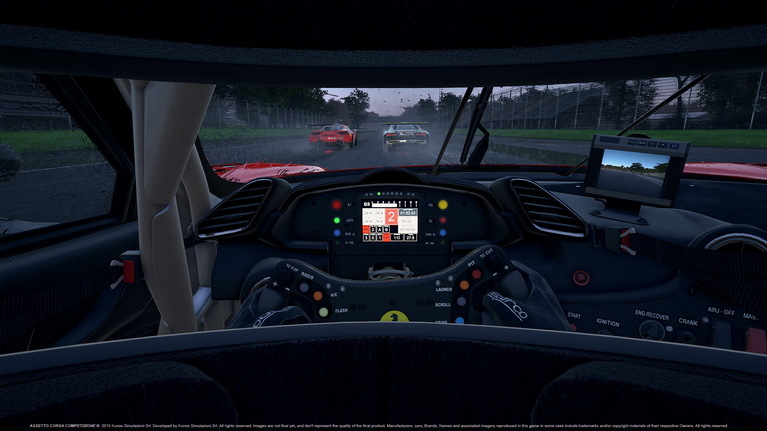 • MULTIPLAYER AND SINGLE PLAYER CAPABILITIES: Offering a highly intelligent ranking system, Assetto Corsa Competizione will evaluate individual performance and driving behavior to reward the most skilled drivers and promote fair play in online competitions. Efficient matchmaking functions will ensure players can compete with opponents of similar skill level and easily find and join races online. Leaderboards will allow players to compare single lap performance with virtual drivers from around the world with the same car, circuit and weather conditions. Career, Championship and Free Play modes will also be available, offering a customized racing experience for all skill levels. • REALISTIC WEATHER CONDITIONS: Competitions of different durations, from Sprint 60 mins races to the famous Spa 24H Endurance race, Assetto Corsa Competizione will give players the opportunity to compete in different moments of the entire 24-hour arc under a dynamic weather system, thanks to a highly realistic graphical reproduction of weather conditions and visibility. • ACCURATE CIRCUITS: With laser scan technology, every official circuit is recreated with the highest level of precision: all curbs and details perfectly fit their real counterparts to grant a gaming experience as faithful to reality as possible. • ADVANCED GRAPHICS AND AUDIO EFFECTS: Unreal Engine 4 guarantees photorealistic rendering and with multi-channel audio sampling of real GT cars, Assetto Corsa Competizione conveys captivating and immersive acoustic surrounding and realistic environmental effects.